This entry was posted in All, Geek Culture, Video Games and tagged 20th anniversary, bayleef, bulbasaur, charmander, gamer, gamer girl, gaming girl, geek, geek culture, geek girl, geek life, geeky, geeky girl, geeky life, pikachu, pokemon, pokemon 20, pokemon 20th, pokemon anniversary, pokemon challenge, pokemon nostalgia, squirtle, the official pokemon handbook, video games. Bookmark the permalink. I almost squee’ed when I saw this! ❤ Bulbasaur was my first favorite, and remained that way for a long time even after I'd seen the next few generations. Bulbasaur is an intensely close second on my list, but Bayleef somehow won me over just a pinch more. Hm. 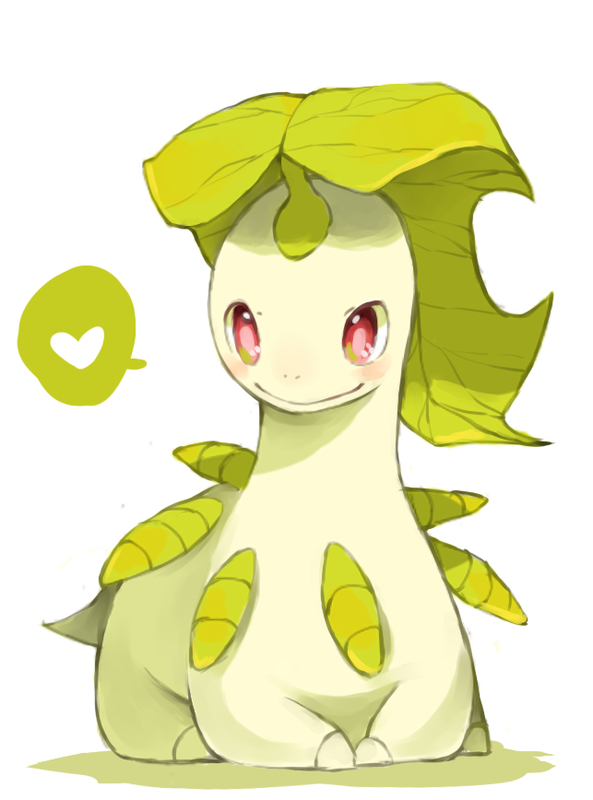 Your Bayleef was so Kawaii, I had to find something equally adorable. I loved Bulbasaurs attitude to everything and he seemed to have that honorable bushido way of going about things. For me, he had the warrior samurai spirit and reminds me of Zoro from One Piece for some reason. Hence why Bulby was my favourite Pokémon. Kawaii images ftw! 😀 And I couldn’t agree more about Bulbasaur’s attitude. He was such a bad-a, and not to mention more intelligent and mature than the other Pokemon Ash had. — But I did also choose Bulbasaur as my starter from the get go without the show’s influence. I’ve always had a soft spot for it. Also, I don’t think I ever got to thank you for following my blog here! It’s not much, but I do enjoy when other like-minded people are about. I really like what you’ve done with Sleeping Geeks as well with having many different people writing. Good stuff. Thanks! And the pleasure is mine. 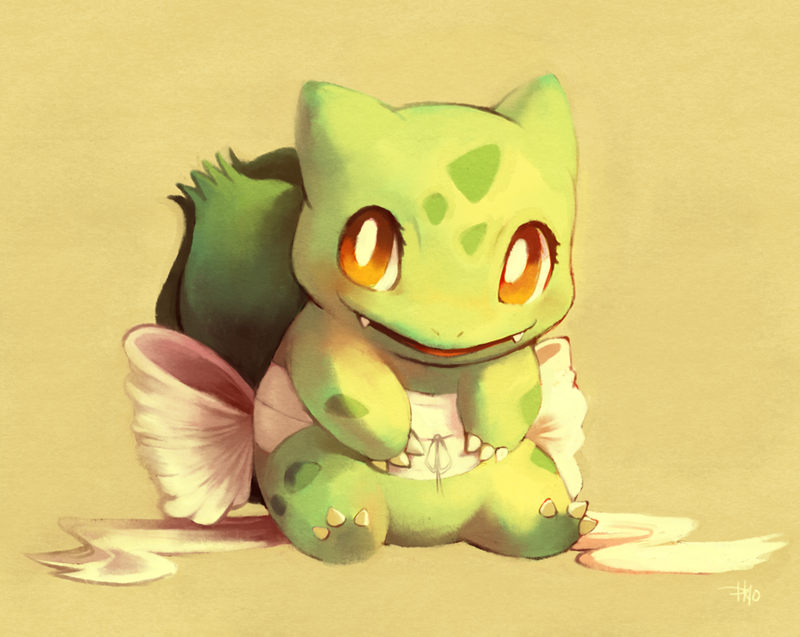 Not many people pick the grass starter, nobody gives them love. I even went with Chikarito in the second gen and Treeko after that. Although I did luck Torchic because Blaziken is awesome. As for Sleeping Geeks, I do try and I always wanted to get a cool team together to discuss things and write and I’ve finally got that and we are always expanding and working on new projects. It’s a whole lot of fun. Yes, I’ve definitely notice that they don’t get much love. I’ve always gravitated toward the grass starters, but not necessarily all grass Pokemon. I’m a variety type trainer. ;D I did go with Cyndaquil and Torchic when I replayed the games a second time though. Sleeping Geeks is great! I’ll have to drop by more often to poke around and stalk y’all. Mine is definitely Eevee. I’m obsessed and definitely want a tattoo of her! Pokemon was also the first thing that really got me into gaming as well. I grew up in a house where it was kind of discouraged for me to play video games, because it “was for boys”. So I stole my brother’s old Gameboy and his Pokemon Red and Yellow and I played the crap out of those games. Even now I’ll get into speed run challenges in Gold with my husband! I loved this ode to Pokemon! Eevee is TOO cute! I used to be quite obsessed with Vaporeon back in the day actually. Honestly, I have a whole handful of favorites and that number has always grown steadily. It makes it quite hard to choose one! I was also discouraged because it was a boys thing! Mainly, my brother’s thing. He wasn’t always keen on sharing either, ha-ha. Just talking about Pokemon has me wanting to play it. I only own Leaf Green at the moment, but I’ve been dying to get my hands on one of the 2nd generation games for a while now. Hm. And thank you for sharing, Beth!